Many times, it’s one key insight that allows all our future plans to be crafted with confidence. For Greg Kall, the insight was that no matter how many of his systems were based on the same platform, there would always be a foreign one to connect with. Based on that assumption, Kall rejected the rip and replace road many of his colleagues are going down, opting instead for connectivity and a march toward as much “sameness” as possible. 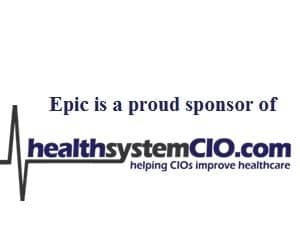 To learn more about Kall’s health system and the challenges that come with connecting up community docs, healthsystemCIO.com recently caught up with the Ohio-based executive. I look at Summa Health System as a microcosm for the United States. I have many different electronic medical record systems as well as many different registration and billing systems. When you acquire a new hospital, you peek inside the box of applications that you have and you find things that you’ve not maybe seen before. … you can’t change too many things, so you got work processes involved, you’ve got training involved, and you really have to manage that change over time and not try to throw too much at the operation all at once. Guerra: Good morning, Greg. I’m looking forward to chatting with you about your work at Summa Health System. Kall: Good morning, Anthony. It’s good to be with you. Guerra: Let’s start out with a little background on the organization; 1400 licensed beds, 6 hospitals, health centers, why don’t you take us through the overview. Kall: Summa Health System is the largest employer in the five-county area surrounding the city of Akron. We have, as you mentioned, six hospitals, an employed physician group practice. We have about 260 physicians in our employed physician group practice at this point in time, and we’re also building a number of ambulatory care centers in our market area. These are ambulatory care centers that have freestanding EDs attached to them, and we have two of those that will be going live this summer. We continue to grow and expand. One of the biggest things that our organization is working through includes the continued management of an accountable care organization, as well as a big push now in moving many of our primary care physician groups into patient centered medical homes. One of the things that’s been a great advantage for Summa Health System is the fact that we have a wholly owned insurance company as part of our organization, and so when we start doing things in the community around accountable care, we have a nice mechanism to track the claims and an existing structure to do population health management as well, so it’s working out quite nicely for us. Guerra: Is it the same dynamic as Kaiser where they’re both the provider and the insurer, or is it not quite the same? Kall: It’s not quite the same. The interesting thing about what we’re doing with our accountable care organization is that we have two groups of patients in our ACO right now. Through our insurance plan, we have a Medicare Advantage Plan. We have about 11,000 patients in the Medicare Advantage Plan that have been made part of our ACO, and last year we also brought our employees into the plan as well, so we have about 17,000 lives that we’re currently managing through our ACO. The interesting thing as to why it’s not like Kaiser is the fact that we’ve pulled together groups of physicians from our community who are not employed, and so this is really a community organization. Our ACO board is actually run by physicians who, again, come from the community and help guide us along the path of where we’re going to go with the ACO. It’s a nice traditional hospital-like organization with an insurance company building something with a group of likeminded community physicians. Guerra: You mentioned the number 17,000? Guerra: Are those the lives you’re – and I get out of my depth here with the terminology – but are those the lives you’re at risk for? Kall: Yes, so between our employees, we’re self-insured and the Medicare Advantage patients, that makes up that 17,000 number. Guerra: Is it challenging in any way to have – and maybe everyone has this – but to have a mix of patient populations where you’re at risk for some lives and not at risk for others? Is there any way that permeates into requiring different practices for those patients? Kall: You know the interesting thing is, Anthony, that our goal is to treat all patients the same. Incorporate best practices, find the best answers for caring for our population and extrapolate those best practices across the entire population. That’s the only way you’re really going to make this thing work. You really can’t build methodologies to address different groups of populations. It just doesn’t work. Guerra: It’s probably unethical too, right? Guerra: That’s interesting, you’ve got the health plan, you mentioned the independent physicians. Maybe it’s a good idea to backup a little bit so you can give us the lay of your application landscape, your main clinical systems, your main financial systems, that kind of thing. Kall: Here’s the interesting thing — I look at Summa Health System as a microcosm for the United States. I have many different electronic medical record systems as well as many different registration and billing systems. We have Allscripts’ Sunrise Clinical Manager at two of our facilities. I have QuadraMed QCPR at one of my facilities. CPSI, HMS and McKesson Paragon on the hospital side. In our employed physician group practice, we’re installing an enterprise version of eClinicalWorks. One of my big challenges — at least from a clinical information perspective, and we can talk about this a little bit later — is really building a strategy to connect all this stuff and move clinical information between those facilities. On the administrative side, we have a variety of different registration and billing systems as well, although we are in the midst of Siemens’ Soarian deployment across four of our hospitals now. That’s a project that’ll last us another four years before we’re fully live in all the hospitals. We’re also in the process of installing a new enterprise resource planning system. We’re putting Lawson in — that will go live at the end of this year. I should backup a second as well. Part of our strategic plan is to move some components of our entities to sameness, so a lot of the backbone systems, like ERP systems and revenue cycle systems, we’re moving towards sameness. Guerra: I like that term, sameness. There’s two things that I worry about. Can the organization afford change in a short period of time, and can the organization absorb and internalize change quickly from an operational perspective? Because you can’t change too many things, so you got work processes involved, you’ve got training involved, and you really have to manage that change over time and not try to throw too much at the operation all at once. So part of our evolution of systems is to understand and accept the fact that we have a lot of variability in our organization and move through a process towards sameness over time that makes sense, that we can afford to do and make sense to do without beating the organization up too much with too much change. Guerra: Right, absolutely. You talk about peeking inside the hospital at the applications, have you ever come across one that somebody’s cousin developed in their garage and maybe there’s one other installation of it and nobody’s got the number of the guy? Guerra: You want to get from that to a little more sameness? Kall: Yes, a little bit more support. Guerra: What happens if a couple of people go out sick, if somebody has a baby and then you’re writing code yourself. Kall: Yes. We think about that a lot. We’re working through it. Guerra: I mean, it’s risk, right? Guerra: You have to remove that risk. Guerra: I look at your application mix and one word comes to mind, one vendor name comes to mind in terms of the next announcement from Kall at Summa. That does not sound like the road you’re going down, especially since you’re doing a Soarian rollout in four hospitals, so you’re not going to be going down that road for the time being? Kall: Tell me a little bit more. We’re not going to go down the complete swap-out system road? Kall: I had an epiphany probably four years ago and that was not every provider will be on the same EMR, particularly with the model that Summa has. We recognize the fact that we won’t employ every physician, we won’t own every nursing home, we’re not going to own every rehab hospital, and when you look at the continuum of care, it’s bigger than just the hospital, and it’s bigger than just the physicians and employed physicians practice. As I mentioned before, our accountable care organization is really built around community physicians, and it’s part of the community. Four years ago when we started really thinking about what our IT strategy should be, it wasn’t one of, “Okay, we’re going to swap out everything and put everybody on the same thing,” because we might spend a lot of time and money doing that but, at the end of the day, we will not have solved the problem. So what our strategy is, is how can we get really good at connecting the community and, in fact, the core IT strategy of ours is really around the connected community. I’ve built out my integration team over the years, we have gotten really good at moving data from point A to point B, and a core component of where we’re headed in the future is what kind of infrastructure can I put in place that will enable the community to move information around seamlessly. I’ve come to the conclusion that I’m not a hospital-based IT shop anymore; I need to be a community facing IT organization that acts as the convener, an organizer of this process moving forward. You think about what’s happening with healthcare reform, what we’re doing with patient-centered medical homes, what we’re doing with our accountable care organizations — hospital systems have the basic resources to assist the community in pulling all of this stuff together, and we’re taking a very pragmatic, purposeful approach in now engaging the community and creating structures that can allow information to move between organizations. Those have really been the things that have started to change; how my physicians in the community, how the nursing homes in the community start thinking about what Summa is from an IT standpoint. We’re not a hospital-based place anymore. I’m a resource for them to get information because we all need to do a better job taking care of patients.